One way you can start cultivating a growth mindset is to think of a time you tried to do something new and it didn’t work out. Ask yourself what really stopped you from trying again, and try to think of the lessons you learned from your experience. 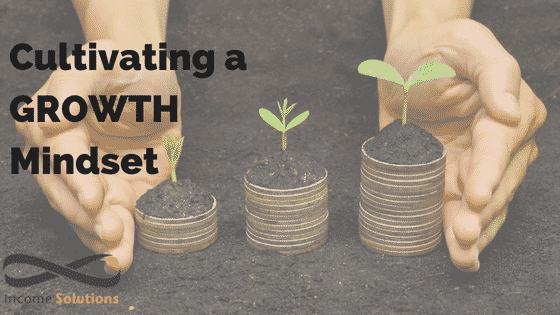 What are the elements of growth that you were missing? This will help you reframe it as a stepping stone, not a failure. For example, if you’ve tried to pick up a new language but dropped out after a few lessons. Did you really make time in your schedule for practice? Did you work on forming social bonds with your class mates? Any advice in this publication is of a general nature only and has not been tailored to your personal circumstances. Please seek personal advice prior to acting on this information. The information in this document reflects our understanding of existing legislation, proposed legislation, rulings etc as at the date of issue. In some cases the information has been provided to us by third parties. While it is believed the information is accurate and reliable, this is not guaranteed in any way. Opinions constitute our judgement at the time of issue and are subject to change. Neither, the Licensee or any of the National Australia group of companies, nor their employees or directors give any warranty of accuracy, nor accept any responsibility for errors or omissions in this document. Before making a decision to acquire a financial product, you should obtain and read the Product Disclosure Statement (PDS) relating to that product. Past performance is not a reliable guide to future returns. The information in this document reflects our understanding of existing legislation, proposed legislation, rulings etc as at the date of issue. In some cases the information has been provided to us by third parties. While it is believed the information is accurate and reliable, this is not guaranteed in any way. We have all heard both sides of the argument between owning a home and renting a home. You would have all experienced loyalists to both sides of the argument passionately lecturing you about why their side is superior to the other. It all comes down to what it is you want to achieve, and above all else, peace of mind. It is an interesting phrase, peace of mind, often referred to as a sleep at night factor. The Collins Dictionary defines it to mean ‘the absence of worry’.¹ Whenever making a decision in life – financial or not – I believe the criterion we should give the most weighting to is whichever option gives you the best sleep at night. There is no point making a decision and lying in bed at 2am every night worrying if you made the right one or not. That is not what life is about. Circling back to the argument of renting a house versus buying a house. Each side has its own logic and merit, there is no doubt about that. A house is a lifestyle asset so we need to be prudent in ensuring the costs associated with owning or renting one does not adversely affect our lifestyle too much. Let’s break down some advantages and disadvantages of the two, and I will focus on living in the Geelong area as a reference point. When you own your home, the first thing people realise is a sense of stability. The home is now yours, and provided you have no issues repaying the mortgage, it is very difficult for anybody to take it off you. Although, it can be done², think ‘The Castle’. What’s more than the sense of stability is the emotional attachment you have with your home. This is often deemed priceless. Most people would have memories of their family home growing up. Because you own it, you can do what you like, such as drawing a height chart on the wall that you add to on your children’s birthdays, renovating, putting picture frames wherever you like, and if you’re lucky, you could even put a pool in. Arguably, the most valuable aspect of home ownership is the opportunity to use the equity you potentially own to invest for the future. For this opportunity to become beneficial, you have either got to paydown the principal of your mortgage significantly, or are lucky enough to own a home in an area that has experienced large capital growth. The lifestyle on offer in the Geelong area is envied all around the world, which has lead to capital growth in recent years. So much so, they have developed a new estate in Armstrong Creek. The demand for homes in this area is so strong, that the average time a home listed by local agent, Armstrong Real Estate, spends advertised on the market is just 16 days. This estate is situated only 10-15 minutes from the Geelong CBD and numerous coastal beaches, what a great lifestyle that would be? If owning a home and having this sort of lifestyle sounds decent, at Income Solutions, we can help assist implementing the strategies necessary to ensure you can lead your desired lifestyle and still get a sound nights sleep without any worries. Of course, as Gary Ablett now knows, the value of your house can just as easily drop³. There are risks. They do not always go up in value, and, as the owner of a mortgage, you are a slave to interest rates. Interest rates are an obvious issue and can affect your peace of mind. They’re currently quite low, however, they are on the increase. This can cause severe financial stress (4) and is something you’re unlikely to experience whilst renting. On top of rising interest rates are the costs of owning a home. Rates, insurances, maintenance, stamp duty when buying etc. These all add up and it is mandatory to allow for these kinds of costs in your annual budget before making the decision to buy a home. Remember, planning for these can still give you great peace of mind. Alternatively, there is the option of renting. Viewed with a lot of unfair stigma in this country, renting can be seen as ‘dead money’. I agree, to an extent. In most cases, it can be cheaper to rent a house than it is to buy it. You can live in an area that best suits your lifestyle at a cheaper price. The demand for rentals in the Geelong area is also booming due to the lifestyle on offer; the supply of homes cannot keep up with the demand. Armstrong Real Estate lease out advertised homes in an average of 7 days, such is the popularity of this area. A prudent renter should use the cash they save on their dwelling and invest this for their future. It is when this cash saving is simply squandered on lifestyle that rent does become dead money. Everybody’s favourite finance commentator, The Barefoot Investor, says in his book that if a person rented the same house their friend had bought, invested the difference in their associated costs, the renter would be in a better financial position in 20-30 years time. True, for the most part. Another aspect of renting is the flexibility. This can also be seen as uncertainty. If the freezing winter’s of Geelong become too much to handle, it is very easy to simply sign a new lease and move to a place like the Whitsunday’s, not needing to worry about the extremely lengthy time it can take to sell your home. The other side of the same coin is also very real. A family of 5 receiving a letter from their property manager telling them they have 30 days to vacate the premises is surely going to cause a few sleepless nights. If the potential of this happening to you as a renter causes you severe angst and little-to-no peace of mind, then renting is probably not for you. Personally, I understand that owning a home will cost me more money than renting one. Unfortunately, this country does not offer 10-20 years leases like other countries of the world(5). Therefore, I currently rent, with the goal to own a home in the near future for two reasons. Primarily, I would like to buy a nice little acreage around Geelong. These types of properties are hard to come by as rentals, and I would like to have full control over it. I am aware of the opportunity cost and it is a risk I am willing to take. Secondly, I plan to use the equity I build in my house to invest in my capital base. I will turn my bricks and mortar into an asset, and have it earn me some cash, rather than force me to spend cash on it. The basic thing is I have a plan. This plan is what gives me peace of mind. At Income Solutions, we can help you create your plan, and, with a bit of luck and forethought, some decent peace of mind as well. Let’s take the word success and break it down, shall we? The Oxford Dictionary defines success as an accomplishment of an aim or purpose¹. I Like the last 3 words in that definition; aim or purpose. 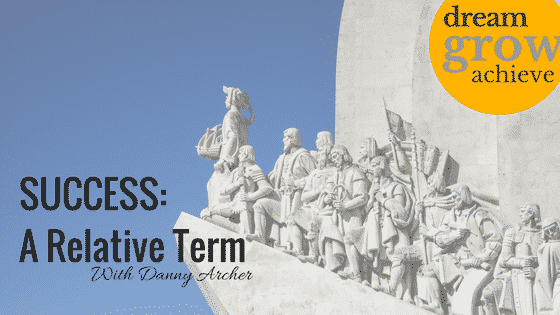 In fact, I think we perceive the term success to mean something entirely different to the Oxford Dictionary definition, with is wrong and unfair. Too often we seem to measure our own success against somebody else’s. We forget the true way to be successful is to accomplish an aim or purpose. Our own aim or purpose, not somebody else’s. Let’s look at a broad example. Take 2 Real Estate Agents. Agent A has sold 50 properties in the financial year at an average price of $500,000. Agent B has sold 25 at the same average price. Who would you deem more successful? At first thought, you could be forgiven for saying Agent A. However, we do not know what either agent’s aim or purpose was. If Agent A had aimed to sell 70 properties at $500,000 average, and Agent B had aimed to sell 20, which agent would be deemed more successful? One did not meet their aim, and one not only accomplished their aim, they managed to exceed it by 25%. I would say Agent B would have had a more successful year because they accomplished their own personal aim. The clearest way to know whether you are successful is to have distinct KPI’s to meet. Your own KPI’s. If you aim to earn $100,000 in a year, this will be easily measured; you have cracked the tonne or you haven’t. If you don’t and your mate did, it is imperative not to consider that year unsuccessful because we do not know what your mates aim was. They may have earned $50,000 under budget. All we know is that your own KPI was not met, and rather than stew on it, the pragmatic approach is to put in place provisions to increase your chances of accomplishing your goal the next year. That is the first mistake. Attempting to achieve something that is not organic, and you are not passionate about is setting yourself up for failure before you have even started. If you fail attempting to achieve something you are passionate about, you will have learned from the experience and will be better in the long run. Even the most widely ‘successful’ people in the world have failed along the way², most say they would not have achieved what they have without failing along the way. It keeps them grounded. At Income Solutions, we regularly help our clients articulate what it is they truly want to accomplish. This forms part of your Purple Box; your goals. An individual’s own goals should be used as the main barometer to measure their success. Everybody is different. Everybody has different reasons. Most people want to retire financially secure, which again, has a different meaning for everybody. It is your personal goals that need to be drilled down upon and identified. These accomplishments almost always deliver far greater satisfaction, and more often then not, will lead to the common goal of financial security. Personally, I do not really care if I am the wealthiest person in my friendship group when I retire. I will not measure my success using this metric. A good client of our has a great saying: “I do not want to be the wealthiest man in the nursing home, or the cemetery.’ He and his wife managed to retire at an age most would consider quite young, now they have a wonderful life accomplishing the retirement goals they are passionate about, not somebody else’s. Therefore, I would call them very successful. I have numerous personal goals I would like to accomplish; living abroad, continued charity donation, living on a modest acreage, the list goes on and on and will be different for everybody. My main goal or aim I am striving to accomplish is being able to choose whether or not I need to go to work or not by the age of 55 – or earlier – and donate my time to a couple of charities I hold dear, as well as ticking off some international destinations. At this point, I will need a capital base invested soundly enough to provide me with a passive income stream that will support mine and my family’s lifestyle, without earning a paycheck. We can help you with understanding what this capital base should look like at Income Solutions! The income stream that I deem enough will be decided by me, and I will not compare this income stream to any one else’s when determining it. If I use the various personal goals I have as stepping stones to reach my ultimate goal, I will be comfortable enough to call myself relatively successful. 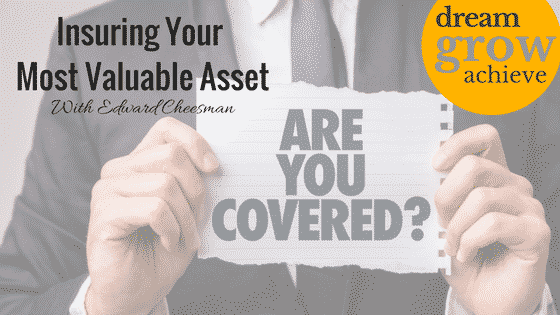 There is a good chance that your largest, most valuable asset is underinsured. It is not your car, it is not your home, it is your ability to generate an income. Income protection insurance can replace up to 75% of your income through your inability to work due to injury or illness. Knowing what cover is appropriate for yourself is an important step in safeguarding your financial life goals. If there are people dependant on you to provide an income, we recommend a review of your existing insurance cover. Many Australians may not be concerned with insuring their largest financial asset, as it does not immediately impact them. A 2015 report completed by Rice Warner ‘Underinsurance in Australia’ states that, existing levels of Income Protection Insurance for Australians only meets 16% of their needs. It is possible that you have some default cover within your Superannuation account. This can be checked by calling you Superannuation provider or reading your Annual Superannuation Statement. However, this level of cover may only provide you with Income Replacement for a period of two years. There is a possibility that you might not be able to return to work after a period of two years. Can you still achieve your personal financial goals with no income? What happens if you cannot work because of injury or illness? Where will you get an income to meet your daily living expenses? These are important questions you should ask yourself if others rely on you to provide for them. The best time to act is now. By taking the time to talk to a Financial Advisor or completing an online insurance calculator you can determine what cover amounts and period is sustainable for your needs. Do not put others in a worse off position because you did not take the time out to check what level of cover is appropriate for you. Being time poor is something I’m convinced affects your intellect. Or maybe it’s got something to do with the easy access of information that is so readily available to us in our modern society. Perhaps it’s a combination of both. I really miss the days of listening to the news in the morning before work or spending a lazy weekend morning drinking coffee and reading the broadsheet from back to front. I seem to have replaced that with logging into an online news site to grab the headlines. I roughly know what’s going on at home & abroad. I can keep up with a topical conversation but I’m finding more and more that I don’t know anything “in depth” anymore. What’s even more frightening is if I’m busy or feeling too tired to exercise my brain, I’m gravitating towards really low brow stuff. I can, for example, tell you all of the dramas of this season’s Married At First Sight. I’m a little vague on facts for things that really matter. I know it’s not only me. I can tell this from the repetitive quick read articles on weight loss and get rich quick stories that are being presented to us as “news”. Being in the Financial Planning industry for over 20 years, I always read the property stories. I don’t do this for their news content but just to give myself a giggle. It’s like a sport-will it be good, bad or ugly? It’s seems the vast majority fall into the good category and I know that’s not the ratio I see in my professional life. It makes me wonder are we just being feed a myth we want to believe? For 3 consecutive days the same news site ran property articles. Come on, slow news week or what? One quick read about experts saying property keeps rising and if you are smart enough to know where to find the hot spots, you’ll be rolling in dough soon enough. Another quick read about a lady who used her divorce settlement and with the help of friend “investors” she built her property portfolio that now enables her to stay home with her children and live a comfortable life. The final story from another expert about how property prices are going to crash and lots of people are going to be in financial trouble. Maybe it’s because I grew up in an era where investigative journalism was a true profession, a time when politicians got grilled when they said or did something questionable and when there was enough money in newsroom budgets to check facts, rather than repeat a press release word for word without objectivity. I don’t see too much of that anymore (Leigh Sales, I’m not talking about you, you are a shining light). What I pointedly see is an obsession with property. I haven’t seen any articles about other asset classes, such as shares or cash. None. To be fair, shares do have a nightly section in the news devoted to market activity but I’m not counting that because it is largely irrelevant news for the vast majority of share investors. So why are most property articles about individual stories and news about share investment is statistical? Why isn’t my Dad a newsworthy story when he spruiks the joys of receiving his dividend payment, just like clockwork? Why is that not promoted but an article about somebody’s property value appreciating is promoted? I think it’s because we all believe we understand property, with the vast majority of us citing our home as our biggest financial asset (albeit, an “asset” that provides shelter for us rather than a financial return). Even those who cannot afford to enter the market, understand the concept of property because we all live in property. The moral of my story-don’t just believe what you read. For every person who researched or lucked into buying property in the hot spot and made money, there are some who did the opposite and lost money. For every investor who gambled with friend or family “investment” money (sometimes referred to as life savings), it hasn’t always worked out and relationships have suffered. For every person at smoko who’s made a mint on “whatever”, question it. Live in the world of facts. Live in the world of reality. It’s not complex but it’s often not easy. What is easy, is to seek professional advice to put a long term plan in place. You don’t take your car to the hairdresser to get serviced. Don’t take your financial advice from the quick read news or the guy sitting next to you at smoko. Go to a Financial Planner. 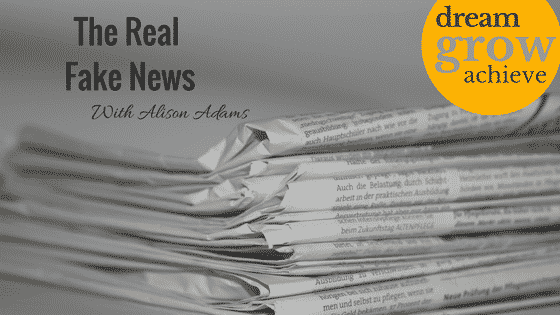 As I have mentioned before (and no doubt mention again) when reading articles in the papers, watching news on TV or even listening to the radio to and from work, it is always vital to objectively consider the information we are being given. As a history student, I was taught to always consider who has produced the source of the information, who their intended audience is and why it may have been produced. That foundation can serve us well when considering decisions that relate to our long term financial security. 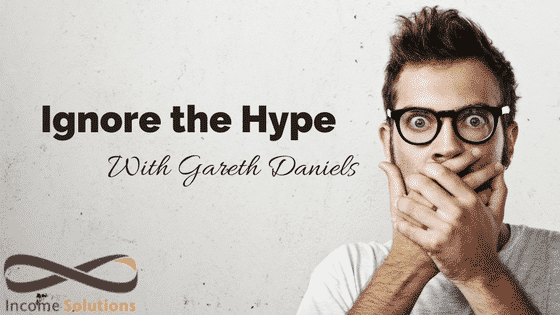 Who is the intended audience: The misconception that all investors are speculators and all speculators are investors means they are attempting to reach as many people as possible. Regarding the interviewee, I would suggest he is trying to reach future potential customers (pitching for business as he apparently knows better than the market) and those clients to whom they have just returned their money (justification for selling the fund). Why has it been produced: Again, for the publication it is the desire to get eyeballs on their paper and website and for the interviewee, future potential customers by an apparent display or foresight whilst pacifying those clients to who they have just had their money returned by way of defense of their actions. Philip Parker may be a top fund manager as the article notes, but by what bench mark? The ASX top 200 is cited in the article, all well and good but it is the capital value of this bench mark that is the apparent measure? I would prefer to measure against corporate profits shared out as income via dividend. I would also not like to get sucked into the yield trap, jumping in and out of different assets and significantly increasing the likely effects of market timing risk. If values are over inflated then surely it is speculators that are at risk with their hopes of gains at considerable risk that should be worried. Investors who own quality assets for the long term to be in receipt of income, should not even dedicate a second of their time to read an article clearly aimed at speculators. It can become stressful to build wealth via a fund manager who believes that over the long term, through active management³ they can beat the market rather than simply owning the best that the market has to offer. The latter allows you to confidently ignore the short term fluctuations in perceived value and and enjoying the true value of a repeating, tax-effective and increasing income stream over time. What is intriguing is the (potentially) strategic move by this fund manager. Despite the litany of unfulfilled doomsday predictions that regularly crop up, the article even sites a few, these are readily forgotten, whilst the ones that do appear to come true elevate those that predicated them to genius status. So, this firm and it’s investment team either get lauded as the special few that were able to read the tea leaves correctly, or they simply “enjoy their time off” before returning to the fold to make further predictions; attempting to reach those that believe in speculation rather than investing. All this whilst the rest of us carry on with our investment strategy, focusing on what is important to us and critically analysing the overload of information that we are unnecessarily bombarded with. 3. The belief that a manager knows better than most can pre-empt economic cycles, property bubbles, threats of war and crisis around the world and a whole host of other fads. They are effectively trying to speculate their way to wealth via capital appreciation. Any advice in this publication is of a general nature only and has not been tailored to your personal circumstances. Please seek personal advice prior to acting on this information. The information in this document reflects our understanding of existing legislation, proposed legislation, rulings etc as at the date of issue. In some cases the information has been provided to us by third parties. While it is believed the information is accurate and reliable, this is not guaranteed in any way. Opinions constitute our judgement at the time of issue and are subject to change. Neither, the Licensee or any of the National Australia group of companies, nor their employees or directors give any warranty of accuracy, nor accept any responsibility for errors or omissions in this document. Before making a decision to acquire a financial product, you should obtain and read the Product Disclosure Statement (PDS) relating to that product. Budgeting has always been a watch word for people who want to plan for a successful financial future. 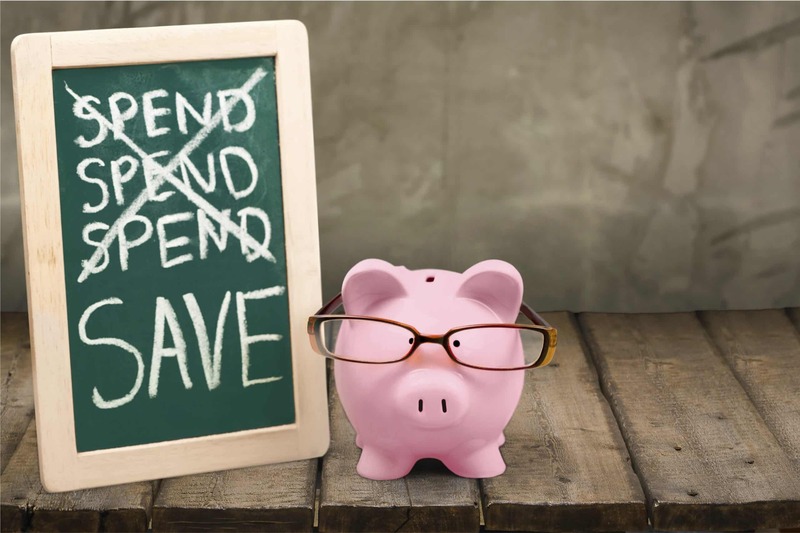 At times it has even been a bit of swear word for some as it has implications of being restrictive, a list of things that you can’t do if your serious about saving for a house, a holiday or just putting away for a rainy day. As a planner I have always been more inclined to regard budgeting as a positive action, I need to know where my money is going in order to ensure I can keep enjoying my today whilst I build for my future. This concept of staying on top of cashflow has never been easier or more difficult. Apps such as Pocketbook; TrackMySpend; MoneyBrilliant; and Goodbudget mean that rather than having to keep receipts, take note in a book or fill in columns on a spread sheet you can link these apps’ to your bank accounts so they automatically track your cashflows by picking up the transactions that take place. This is incredibly powerful particular if you really engage with the app’ as by categorising transactions (such as phone and groceries) they learn what those expenses are going forward meaning it has never been easier to see where your money is going. Talking to an older client the other night she spoke about how powerful it was to her to physically spend paper notes; she hated ‘breaking’ a $20 as she would then run the risk of frittering the rest of it away. It was a reality check to actually take a note or even coins out of your purse or wallet and hand over your hard earned in order to buy something. The reality is that people’s budgets don’t only blow up because of spending on big ticket items; it’s the odd $20, $10, $30, $10, $20 here and there. And that is now a very easy thing to do without realising. 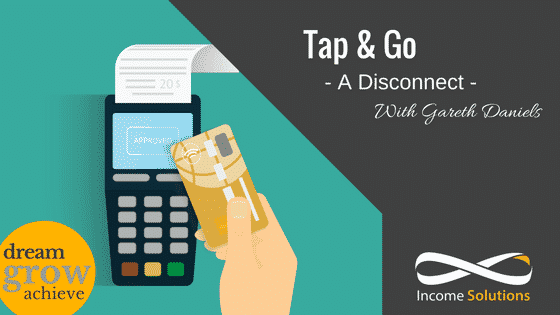 The ability to simply tap a card to complete a transaction has created a disconnect between the reality of what is being spent and the understanding or perception of what is being spent. Knowledge is power and power is control; you’re working hard and its your lifestyle; be in control of what your spending and enjoy life today while building for your future and don’t get sucked into spending too much just because the banks have made it easier to spend! *You can make some strategic decision here too around what you ‘need’ to spend on your mobile phone and internet packages versus what you want! 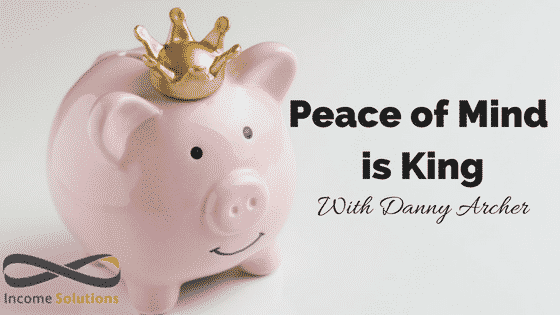 From Frivolous to Finance – Getting Your Money in Order. Growing up I’ve been lucky enough to live a really good Aussie life. Mum, Dad, two little brothers, a Dalmatian dog named Stripes (I wish that was a joke) and a white picket fence. I received an above average education, studied overseas, taken many family holidays and have never gone without. I’ve had it really good. So you can imagine my shock and embarrassment when after thirteen years of schooling, four years of tertiary education and my abundance of worldly experiences, I was ill-equipped to handle my finances. But up until recently, I couldn’t tell you how my bank accounts worked. I couldn’t tell you what the interest rate was on my Credit Card, and I definitely couldn’t tell you ​​why I thought it was OK to go into the bank and take out a loan to travel Europe for 4 months. But don’t worry guys, I know how to solve for x using x + 9 = 18 + -2x …phew! So when I returned from gulping my way through the beer halls in Germany and skiing the slopes in Switzerland, it was time to return home and face the music. I was so ashamed to admit that after all the education my parents had provided me with and the privileges life had thrown in my direction, that I was in this position. By a stroke a fate, I had applied for a job in admin support here at Income Solutions, and got it. I couldn’t help but laugh at the irony! Me, who can’t get her account out of the red working at this financial firm? What has struck me over the last six months is how the key skills you need are so simple. They are based on common sense. Why is this not being taught to us at high school? But it’s ok, I know HBr is Hydrogen Bromide… I’ll use that one day! No matter your history or your circumstance, it’s important to make a decision to want to help yourself and do something about it. Once you’ve made that decision, it’s about education and discipline. Education isn’t just for the young, you need to keep educating yourself throughout life. Education in knowing where your money is going, where you’re being taxed or getting charged interest and what options are available to you. Discipline in sticking to your plan, being able to say ‘not yet’ to those shoes you want, living within your means and not relying on credit. 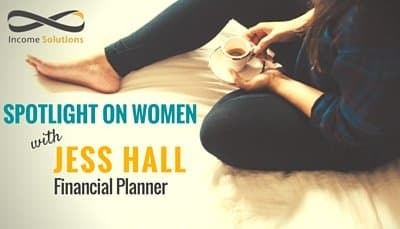 If you would like to take the first step towards improving your financial situation, go to www.incomeoslutions.com.au/events and register for our First Steps to Financial Success seminar. Topics that are covered include Setting Goals, Managing your Cash Flow, Debt Management, and strategies for building and protecting wealth. It’s free, no obligation and the purpose is to provide tips and education to people who want it. Unless you choose to live the life of a hermit, it is an inevitable fact that you are always meeting new people. Some meetings are just fleeting passages in your life, some become lasting and leave an imprint on your own little journey. As I grow older I am becoming more conscious of these chance encounters. When these people come into your life, for whatever reason I often wonder to myself, “How did this person get to where they are in the world?’. Now this can go both ways, this person could be achieving unbelievable feats that you would have never have thought possible, or more often than not the situation can be quite the opposite. We all know that person that we felt was destined for so much more, but for whatever reason they just haven’t been able to figure out what their path is. In effect, when we as advisers sit down and have the Purple Box discussion with our clients, we specifically focus on the individual developing themselves in a manner that will benefit their life, careers and business exploits. We have learnt that when a client is able to successfully invest in themselves, their ability to ‘create wealth’ increases exponentially. We genuinely want the people that work with us to be that person that is achieving the unbelievable. But why do some achieve, and not others? James Allen’s “As A Man Thinketh” goes a long way towards explaining in my mind why some people achieve everything they want, while others are left floundering. Although Allen (1864-1912) never achieved great fame or wealth, his works continue to influence people around the world today. His collection of thoughts highlight how powerful our minds truly are. Allen’s underlying argument is that a man is literally what he thinks, his character being the complete sum of all his thoughts. Allen effectively states, if you choose to think noble thoughts, your actions will eventually become noble and vice versa. When I read this passage I think of those people I know who are doing the same thing day in day out, never moving forward but consoling themselves with the idea that they are okay because they don’t seem to be moving backwards. As an adviser, we see it in their faces when they aren’t quite content with life. People will not often tell you, but you get that sense. That sense of confusion and frustration, that anxiety that they aren’t quite where they thought they would be. After every Purple Box Discussion, I believe there is but one objective: It is critical that our clients leave with a goal in mind, an agreed upon centralizing point of thought. As Allen mentions, it can be anything. Is it that promotion they have always wanted, or that University Degree that always seemed too far away? Do you want to buy a new Caravan so you can sneak off as you please? Or simply, do you wish to be the best parent you can possibly be? It doesn’t matter what it is, just that it is something. When I reflect on the greatest achievers that I have met, they all seem to have one thing in common. It is the fact that they keep on moving forward, no matter how far away that destination maybe. They pick out a mountain on the horizon and start walking towards it. By the time they get to the base of the mountain, they realise the mountain isn’t so big after all. 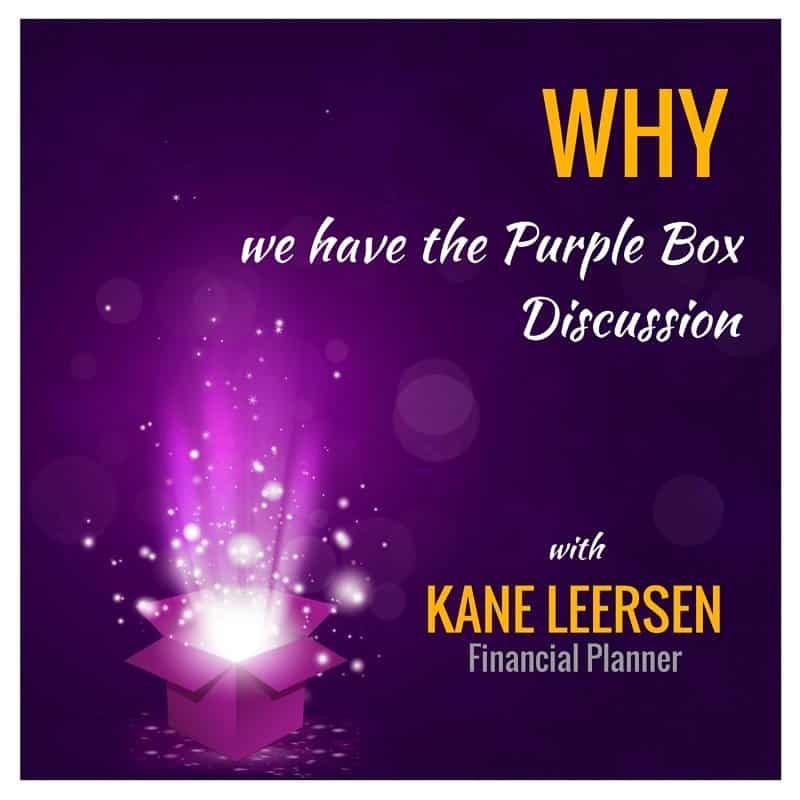 If you would like to book a time to have a Purple Box discussion with me or find out more about how we can help your dreams come to life, call (03) 5232 1200 to arrange a time to catch up.